Where legends are born and bred. A registered kennel of the IOEBA. We are implementing a new Foster/Co-Owner program with certain pick of the litter pups. For details on this new program please Contact us. At Timpanogos Bulldogges, our goal is to produce dogges that can be integrated into all types of families, from first time owners to veteran trainers. We strive to produce dogges with stable temperaments and health, enduring just about any level of activity so you can always have a companion throughout the entire lifetime of your dogge. 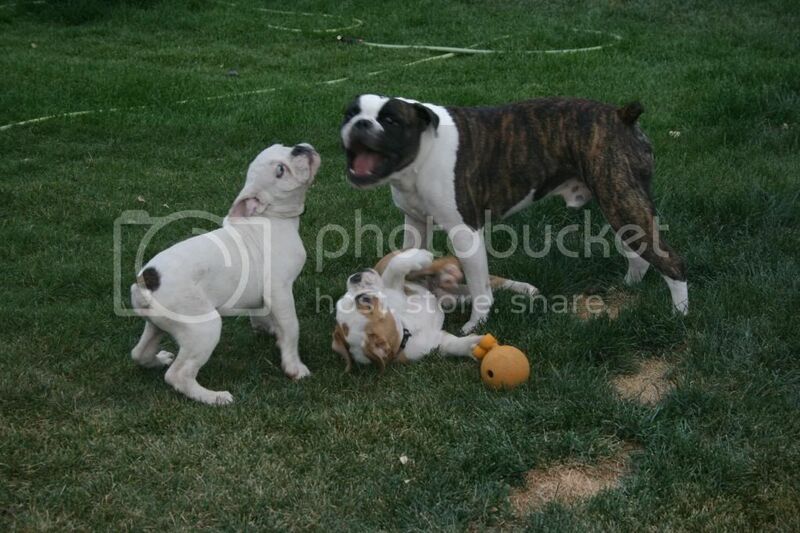 Our dogges are all generational Olde English Bulldogges (aka Oldes or OEBs). We believe that the breeders before us have produced a good solid base for the OEB, and so we will not be doing any "Foundation" breedings for our program at this time. The OEB has been bred to be a healthier bulldog like the bulldog of the 1700-1800's, and so are completely different and definitely not the same breed as the English Bulldog, and we do not breed to make them look like an English Bulldog either. If we wanted an English Bulldog, then we would've bred them instead. We selected the OEB because of what we believe are healthier and more functional qualities available in them, being a bit larger, better breathing, and with an athletic build. We select breeding dogges with good health, structure, and temperament. Without these first 3 qualities, one cannot have a well balanced and working dog. These qualities are what we strive to look for in the pups we keep back as well. Our dogges breed and whelp without help. No A.I. or cesarean sections needed.We temperament test all pups as well to match them to their homes. We train our dogges daily, taking them to public places often to evaluate their temperament and stamina. We are picky and do not have any tolerance for issues in our breeding stock such as: cherry eye, demodex, bad structure (any type of serious or disqualifying fault described in the Standard), hernias, etc... As a serious breeder, we strive to create a next generation better and healthier than their parents. Because of this my litters are spaced out and may be years apart. I'm very picky, and want to produce the very best I can. We are confident in the health of our dogges, so we can offer our puppy buyers a 2 year Health Guarantee on all of our pups that could include a refund(minus the deposit.) or a replacement pup depending on the situation. After 2 years our health guarantee transitions to a modified lifetime guarantee. Regardless of the age of your pup/dog, you will always get lifetime support and advice, just ask us when you need us. To prove what these dogges can do, we take our dogges camping and hiking with us in all weather. From the top of the Uintah Mountains, to down south in Moab. They are also very content to sit at your feet or cuddle in bed with their big heads sitting on your legs. In the future, we hope to find a place/mentor to start training for other events, such as weight pull and agility. Our Kennel and All Our Dogges are IOEBA registered. I am Aleisa Fugal. 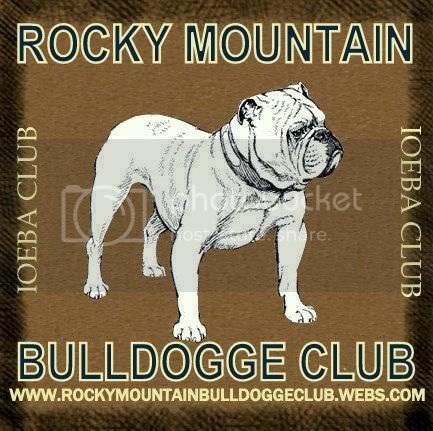 I'm the founder and current president of the Rocky Mountain Bulldogge Club, also sanctioned by the IOEBA. 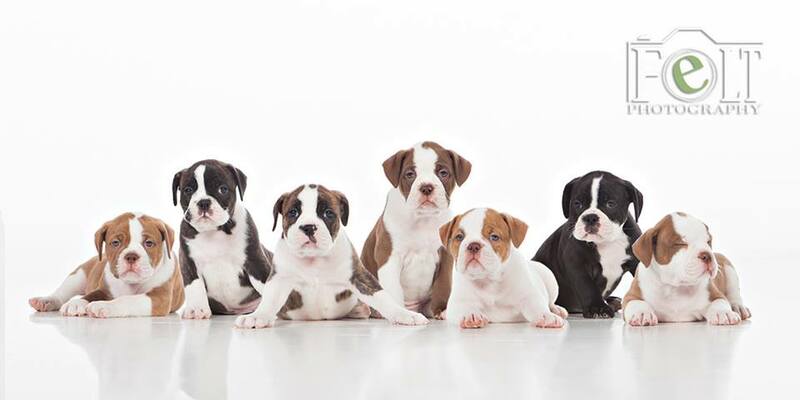 This club was set up to promote and teach good ethical care by both breeders and owners of the recognized bulldog breeds, make lasting friendships, and to create public awareness of these dogges and eradicate the misconception the media has portrayed several bully breeds. As such, we are a group against breed specific laws of any kind, and would rather see the promotion of responsible ownership by teaching people training and socialization tips. Click the Logo to visit the site and find out more. Awarded to top quality dog and English Bulldog Puppies sites.